Features in this 40 page issue include articles on the movies Black Panther, Thor: Ragnarok, and Coco, an interview with Chris MD, space exploration, items on the Teen Titans Go! 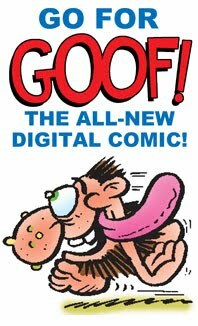 cartoon, the latest games, and more. 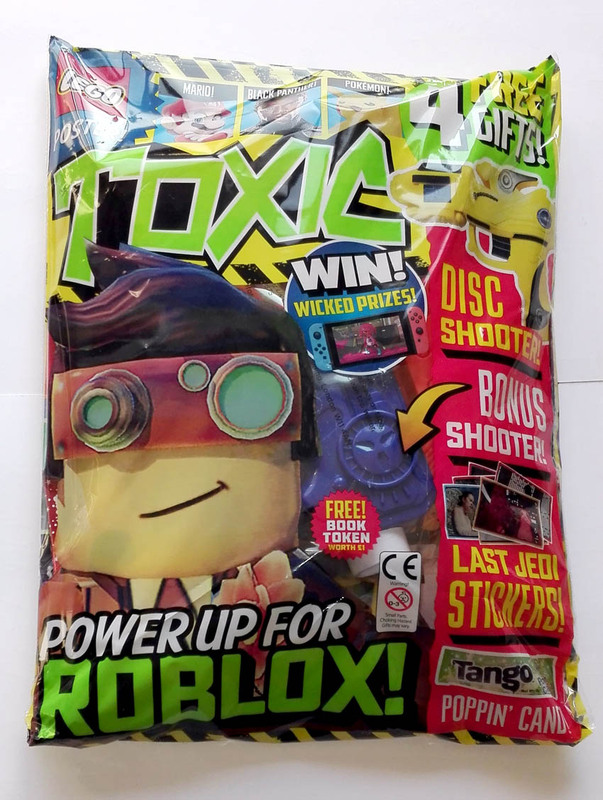 The mag comes bagged with four free gifts: Disc Shooter, bonus shooter, Last Jedi stickers, and Tango Poppin' Candy. 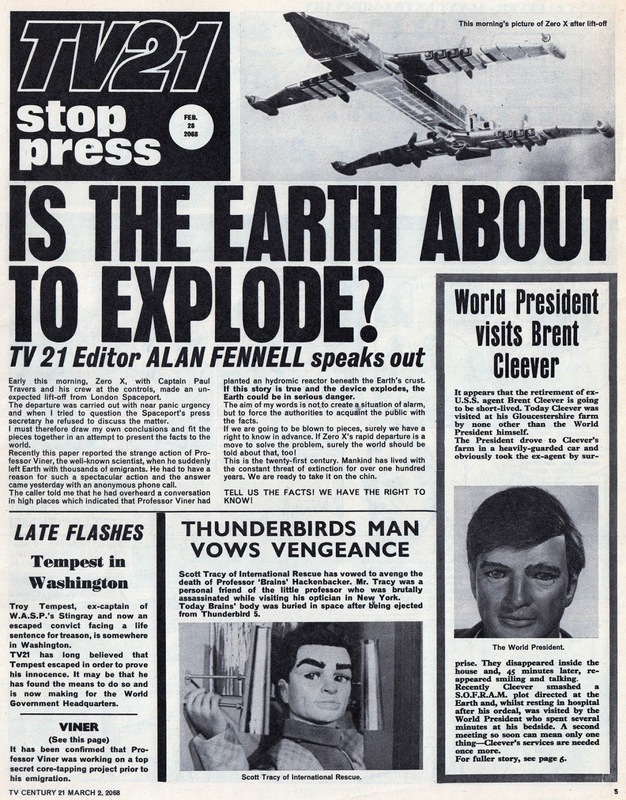 To take our minds off the oncoming snow storm, let's go back to 1968 to see which issue of TV21 was out exactly 50 years ago this week. 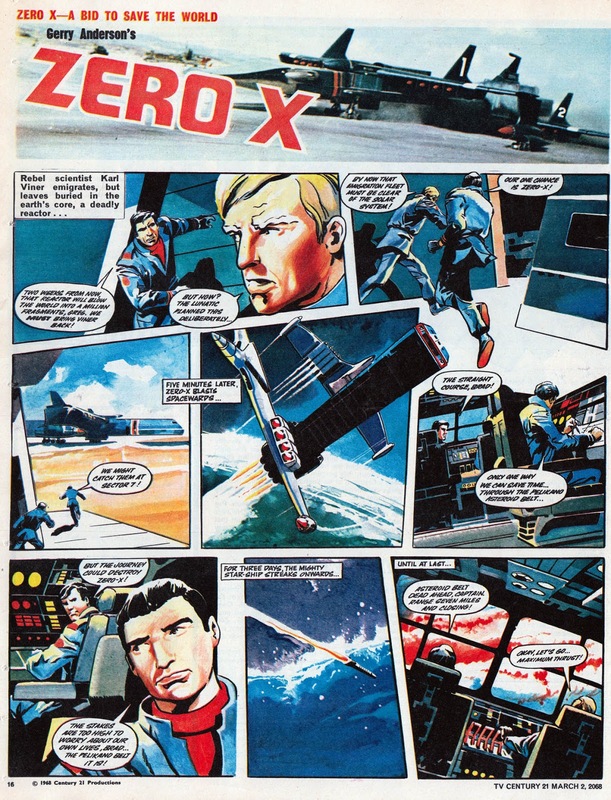 It was issue 163, and by this time the newspaper-style covers had been replaced with comic strip and Captain Scarlet dominated the comic. 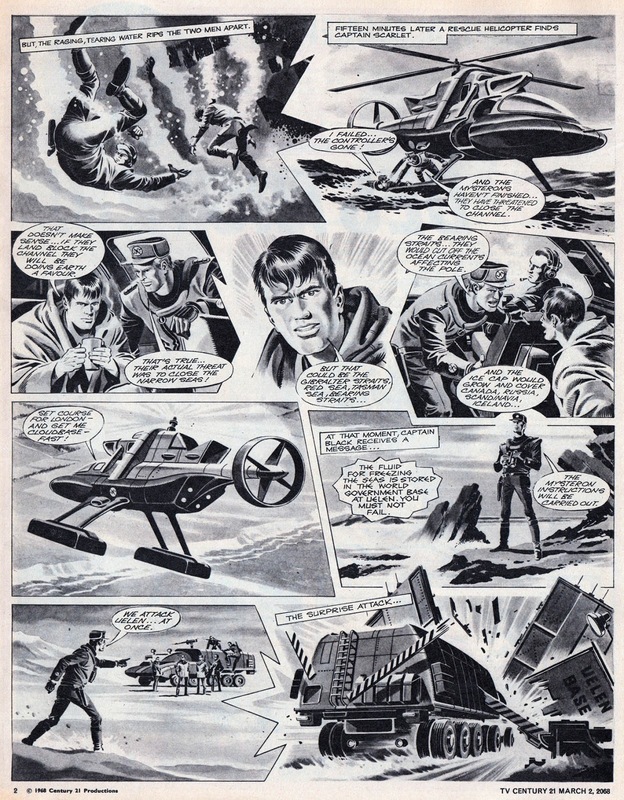 The Captain Scarlet and the Mysterons TV series had debuted on TV a few months earlier so it made sense to make him the star of TV21. 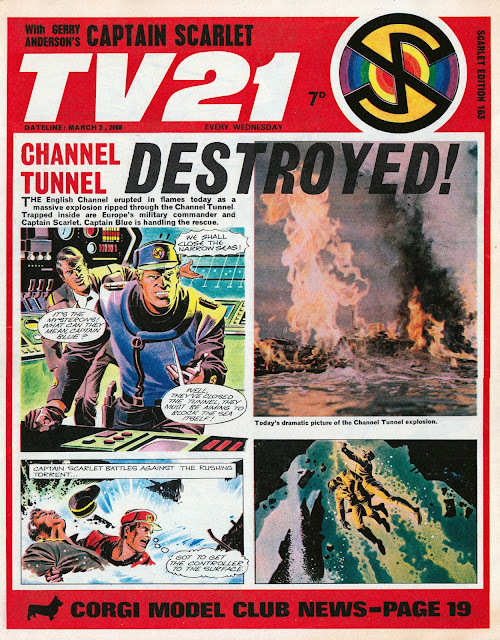 It was easier than producing a spin-off Captain Scarlet comic and it gave TV21 a boost. I do wonder though if revamping the comic so much was counter-productive to sales? I presume they must have been sliding anyway, so it was worth a shot. The newspaper-style cover that TV21 had for its first 154 issues was now an interior feature as TV21 Stop Press. 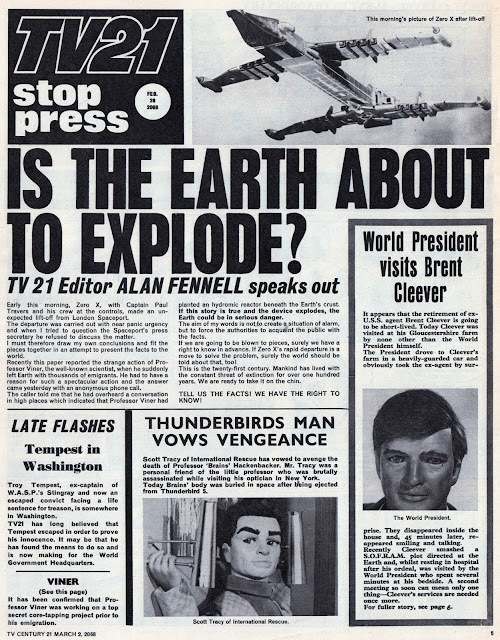 Perhaps for the best, with alarmist headlines like this. Ha! There you have it. 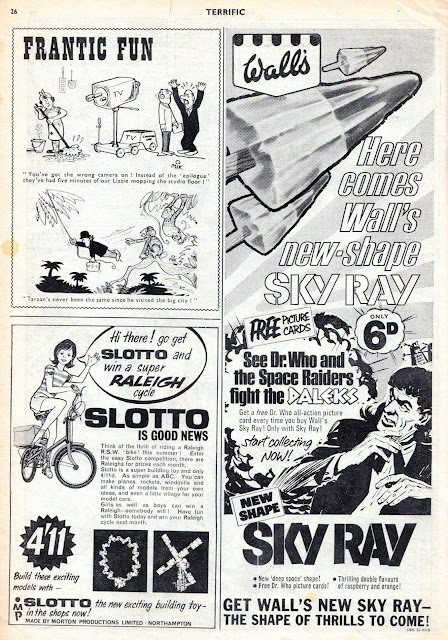 Just a few pages from this issue of TV21 from this week in 1968 (or 2068 as they preferred). 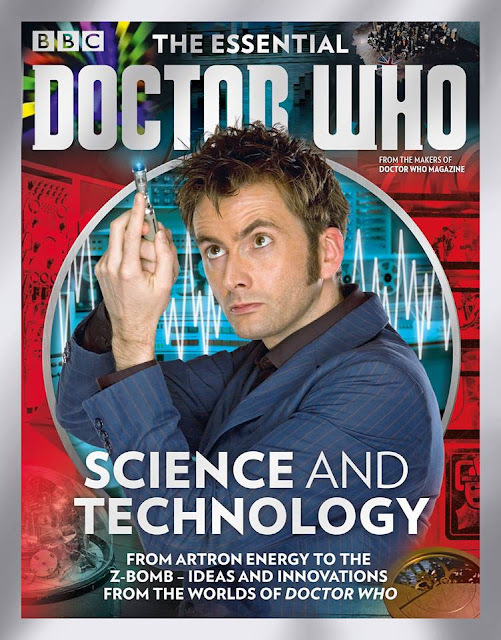 Don't forget that you can click on the images to see them much larger to study the artwork. Snow's a'comin'. Wishing you all a safe week! 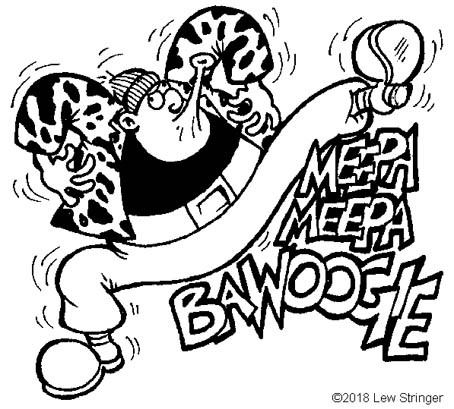 It was the 1960s, and England was swinging like a pendulum do, or so the song told us. 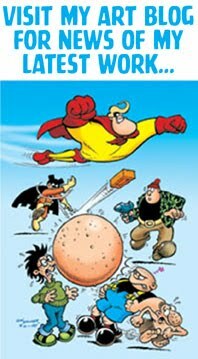 It was a great time for pop culture though, and Odhams were at the height of their powers with five weekly 'Power Comics'; Wham!, Smash!, Pow!, Fantastic, and Terrific. The first three had a nicely balanced mixture of home-grown humour and adventure strips alongside reprints of Marvel strips, whist Fantastic and Terrific mainly contained Marvel reprint and one originated adventure strip (The Missing Link/Johnny Future in Fantastic, Don Starr in Terrific). What's often forgotten now is that a few issues of Terrific also contained originated gag cartoons under the title of Frantic Fun. How did these come about? 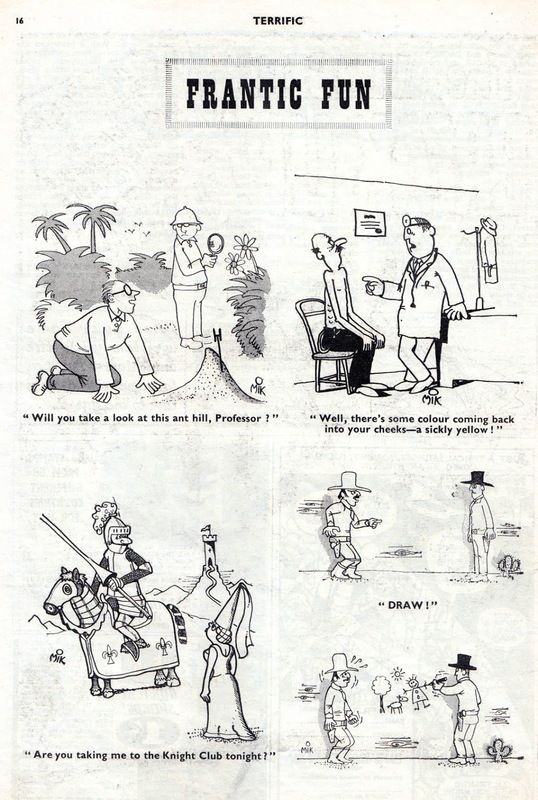 Well, when Mike Higgs submitted his strip The Cloak to the editors of Pow!, he mentioned that he also had some gag cartoons with him. They liked what they saw, and decided to run those in Terrific. 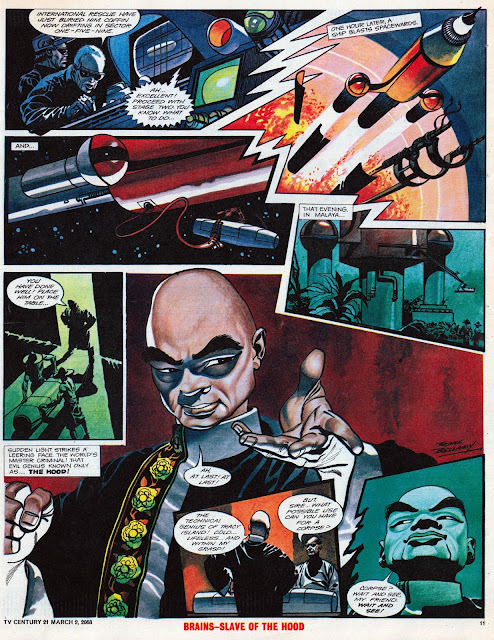 Back then, Mike Higgs signed his work as 'MiK' (or 'OMIK' as myself as some others misread it, due to the distinctively dotted 'i'.). 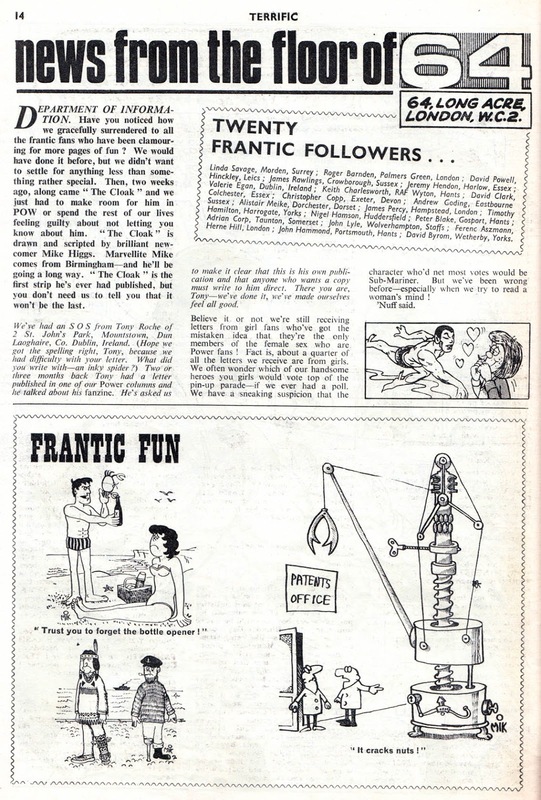 Whilst The Cloak became one of Pow's main strips (and highly popular it was too), Frantic Fun was mainly a "filler" in Terrific. 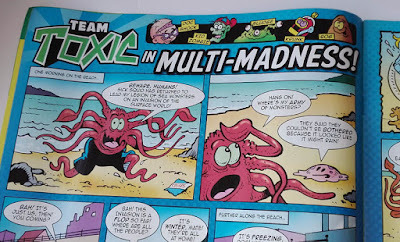 Even so, it was new content in a comic dominated by reprint, and they provided a nice light relief to all the drama on the other pages, so the cartoons deserve some recognition. 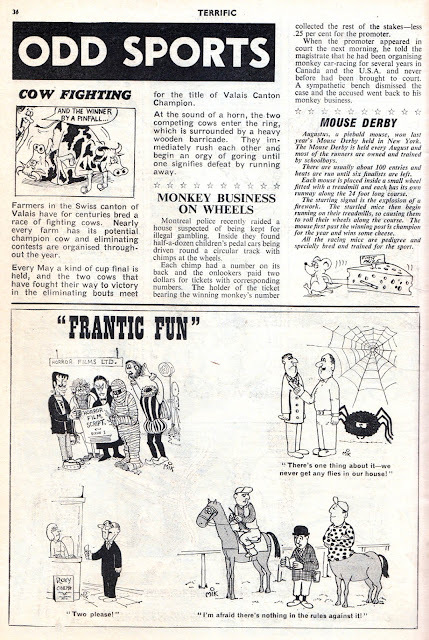 The cartoons that Mike drew started in Terrific No.6 on 13th May 1967 (cover dated 20th May), - the exact same day as The Cloak debuted in Pow! - and ran until No.10 (dated 17th June 1967). 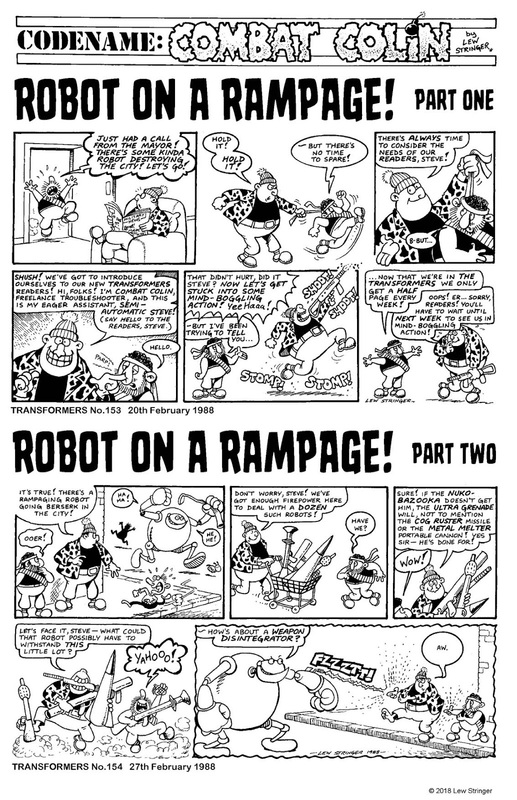 They'd clearly run out of Mike's cartoons by issue 10 as only one appeared, with others on the page drawn by 'J.Mead'. 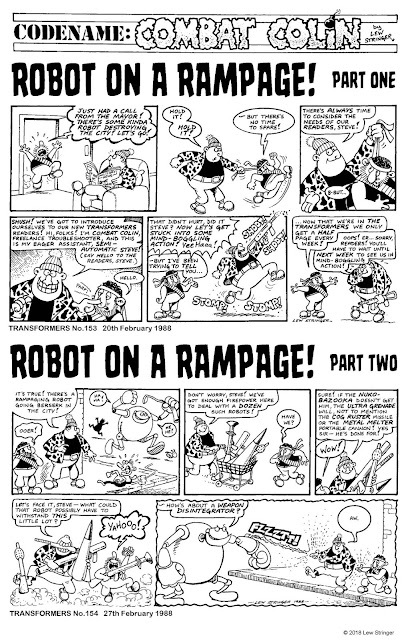 The feature ran for a few more issues (with J.Mead supplying cartoons) and was then quietly dropped. I thought that readers of this blog might like to see those Frantic Fun cartoons by Mike Higgs as they're nice examples of his very early work, so here they all are. 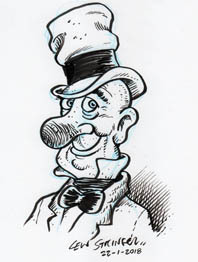 Mike's style developed in leaps and bounds over the next few years, so Odhams must have seen that his work had potential. 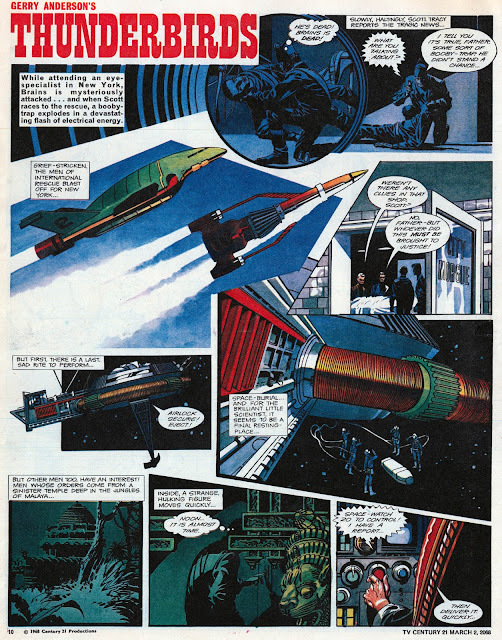 I've scanned the whole pages to show them in context. The News from the floor of 64 page from Terrific No.8 also mentions Mike, along with fanzine editor Tony Roche. 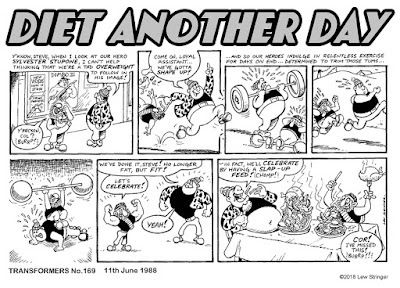 While Fleetway and D.C. Thomson kept their contributors anonymous at the time, Odhams were very happy to name their artists and writers, and even helped to spread the word about the early days of comics fandom. As many of you know, years later I was fortunate enough to work as Mike's assistant for a short time in the mid 1980s, which gave me invaluable experience. I still see him regularly for a pie and a pint and am proud to call him my friend. 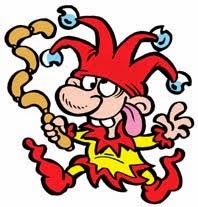 I don't call him OMIK any more though. Continuing the legendary A.B.C. Warriors definitive collection series! Travelling across Mars to recruit their latest companion, the battle-scarred A.B.C. 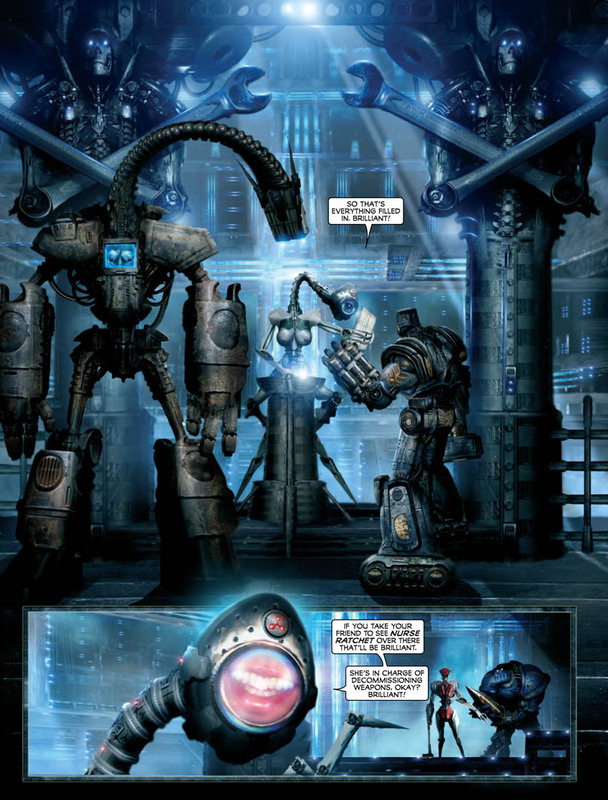 Warriors reminisce about their part in the Volgan War - a vicious conflict fought for oil on Earth. As the droids Hammerstein, Mongrol, Joe Pineapples, Deadlock and Blackblood all relate their memories of the war, old mysteries are revealed and ancient grudges are rekindled! 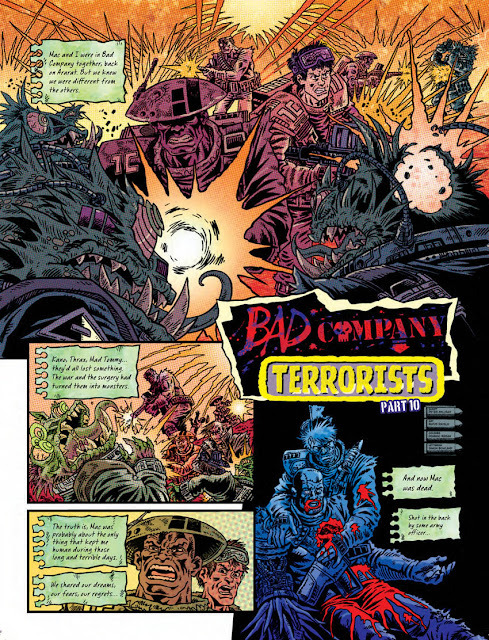 This collects the first two parts of The Volgan War, Pat Mills and Clint Langley's brain-boggling A.B.C. 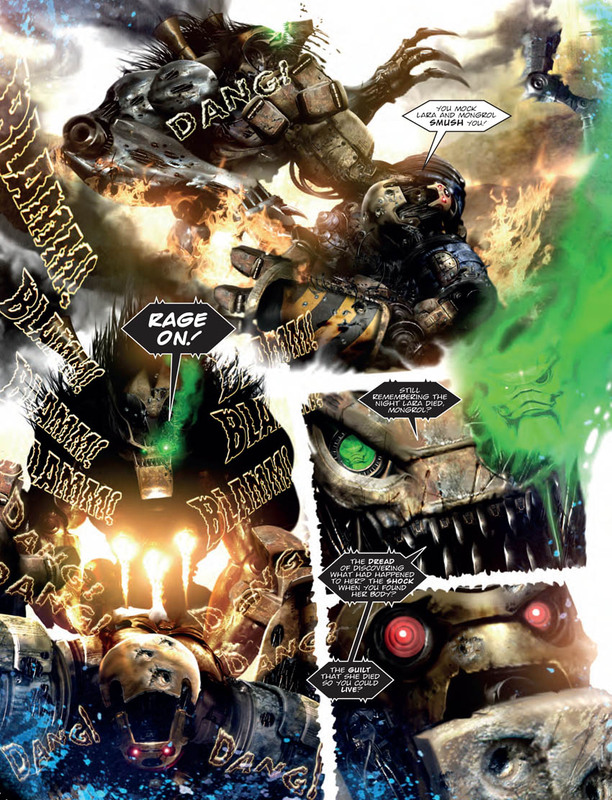 Warriors epic! 76 pages of Earth’s Mightiest Heroes! Two amazing tales! 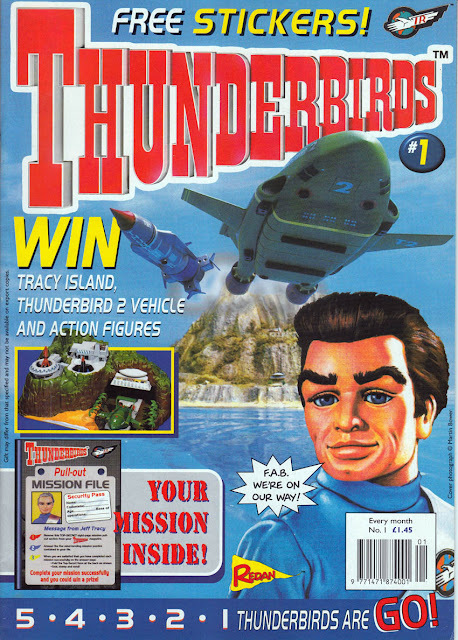 £4.50! 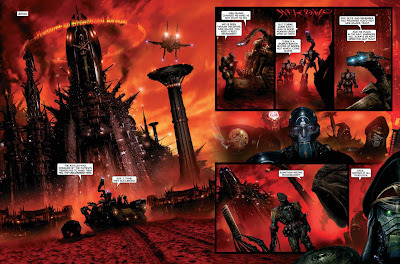 The stunning finale to The Kang War! 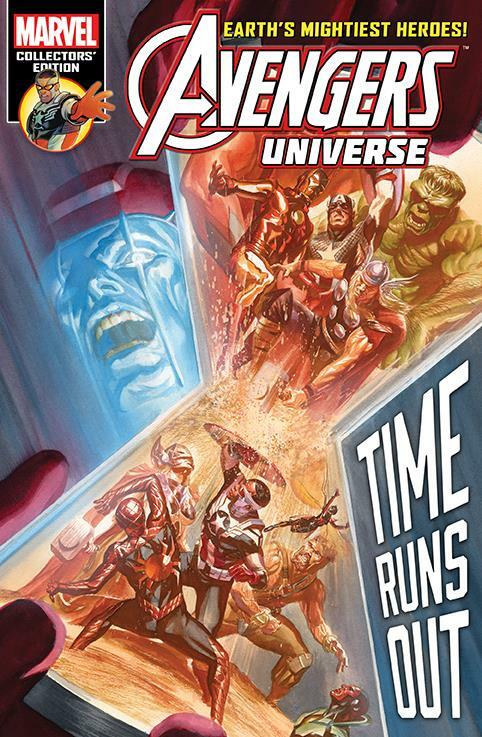 Avengers past and present have taken the fight to the heart of Kang's empire – is this the villain's last stand?! By Mark Waid and Mike Del Mundo! 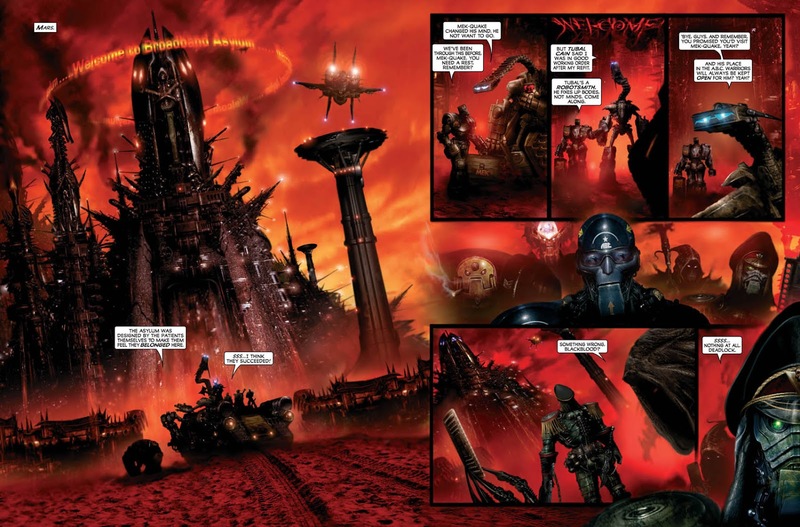 Doctor Doom returns - and he has an amazing offer for the Avengers! By Mark Waid, Jeremy Whitley and Phil Noto! 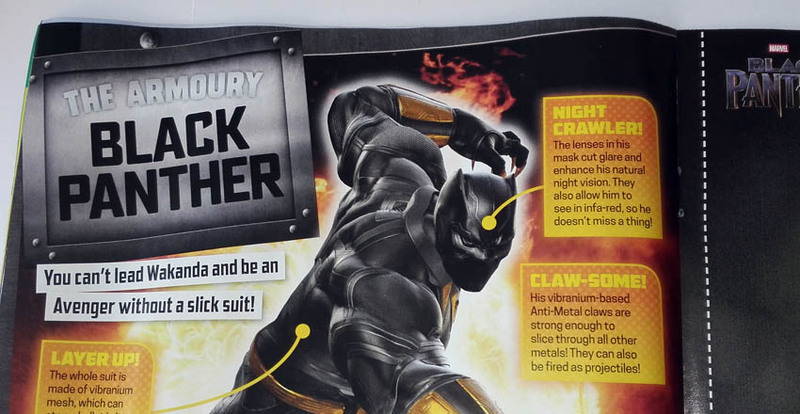 Featuring material first printed in Avengers #6-8. 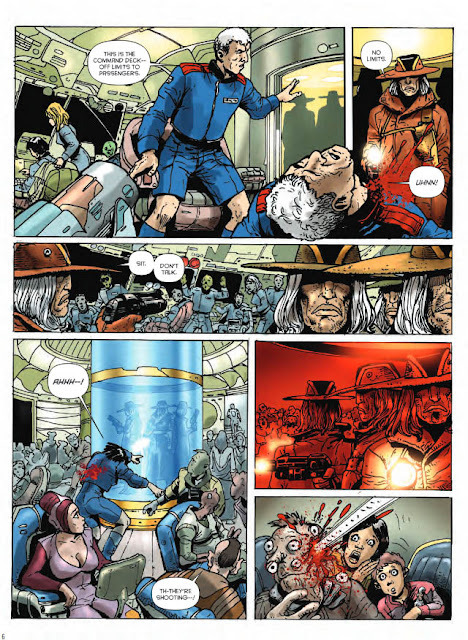 76 pages of Mutants and Motormouths! 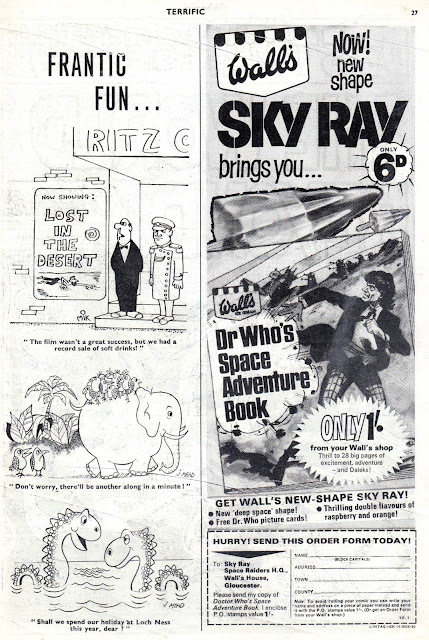 Three fantastic adventures! £4.50! 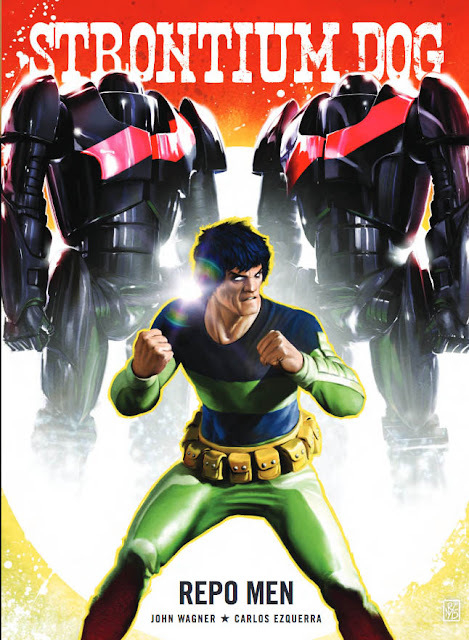 Wolverine gets a new look and a deadly new adventure as a sinister alien threat strikes Earth! 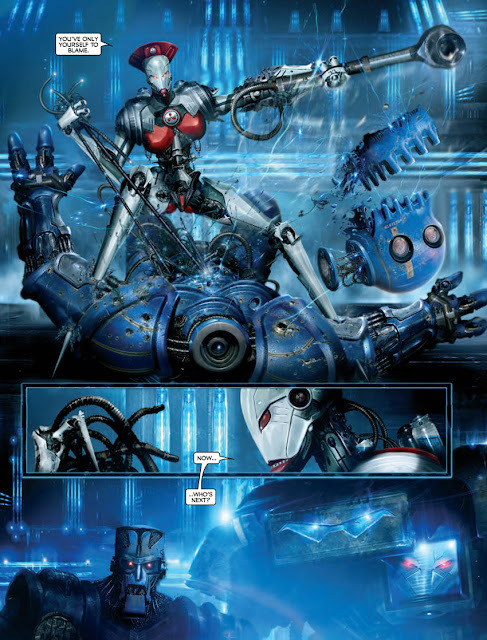 Guest-starring Ironheart! 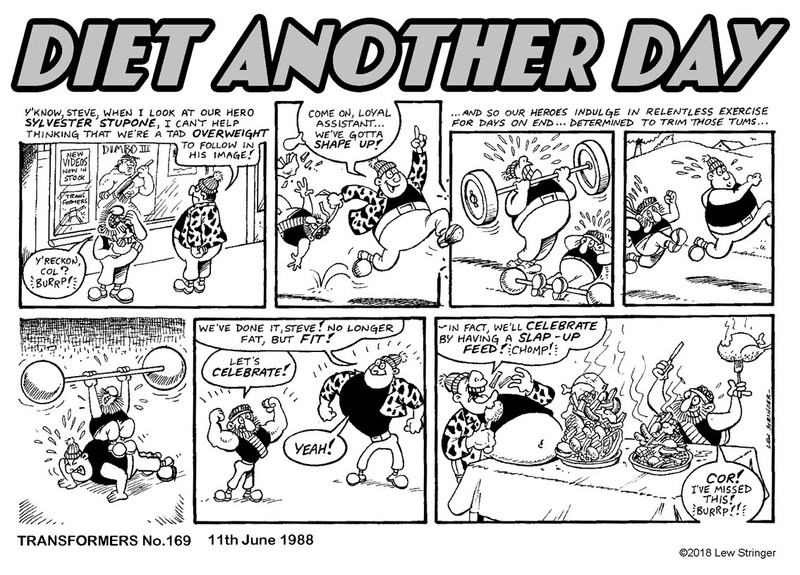 By Tom Taylor and Leonard Kirk! 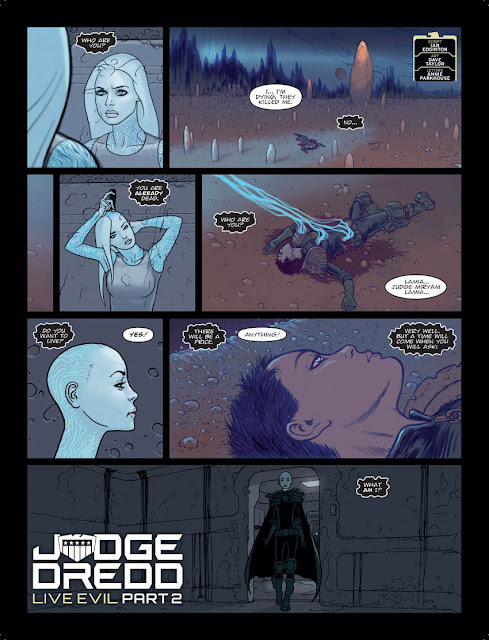 Deadpool tries to stop a young woman from committing suicide – and wait till you see how! 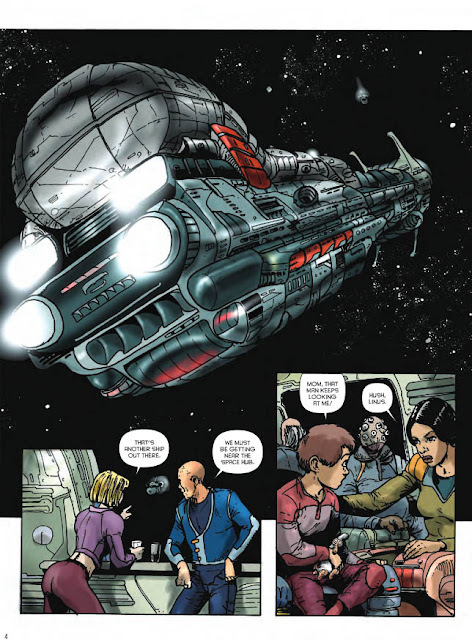 By Gerry Duggan and Matteo Lolli! Deadpool faces Monark Starstalker and the sinister Collector! By Gerry Duggan and Mike Hawthorne! 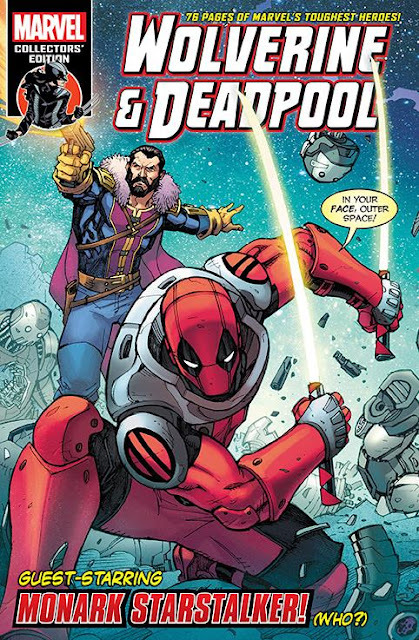 Featuring material first printed in All-New Wolverine #19, Deadpool #20 and Deadpool #30. 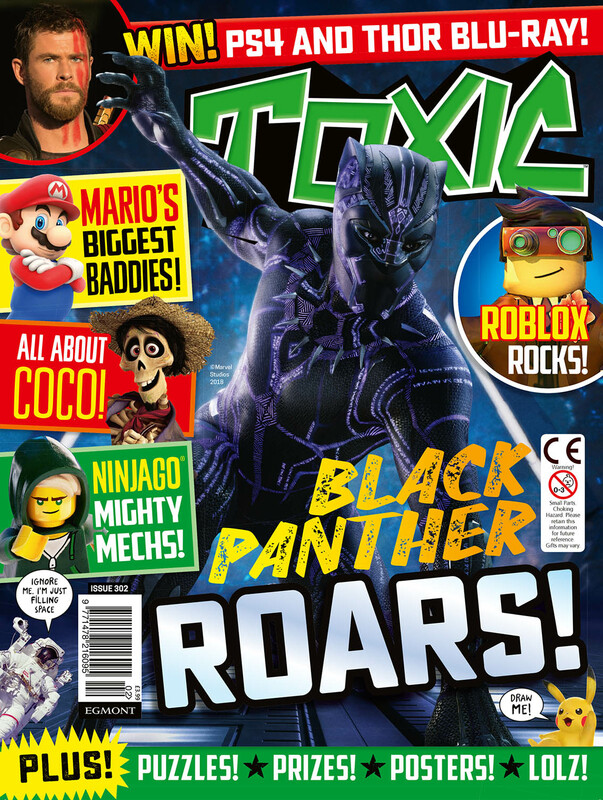 Welcome to a magical issue packed with all your Disney favourites including Doc McStuffins, Moana, Elena of Avalor, Minnie Mouse, Sofia the First, Vampirina, Puppy Dog Pals, Tinker Bell and Zootropolis! There are loads of puzzles and games plus 2 fantastic Vampirina competitions. Don’t miss it! 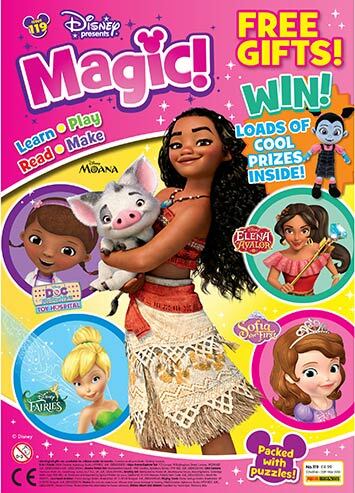 Covermounted Gift: Super Free gifts including Disney & Friends Sticker Album and stickers. I was sorry to hear this week of the death of Robert Sutherland, CEO of Redan Publishing. Robert was the publisher at Marvel UK throughout the 1980s, a time when many of us were starting out in British comics. 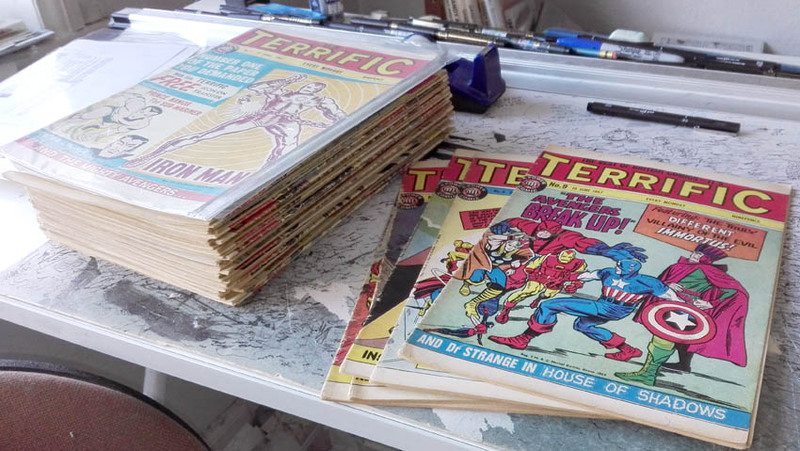 He had the vision to see that the UK comics market needed to adapt to survive, and under his watch, Marvel UK shifted from superheroes towards successful licence-based titles such as The Transformers, Thundercats, and The Real Ghostbusters. 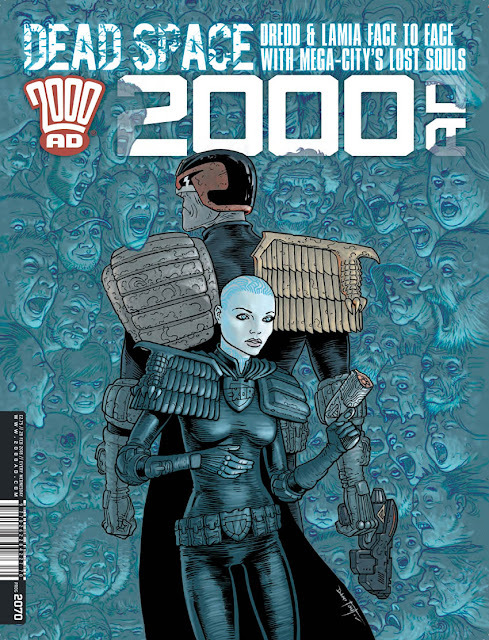 In 1990, he left Marvel to set up his own company, Redan Publishing, with his business partner Jenny O'Connor. Redan focused on the younger end of the market, primarily pre-schoolers, and built a highly successful portfolio of titles. 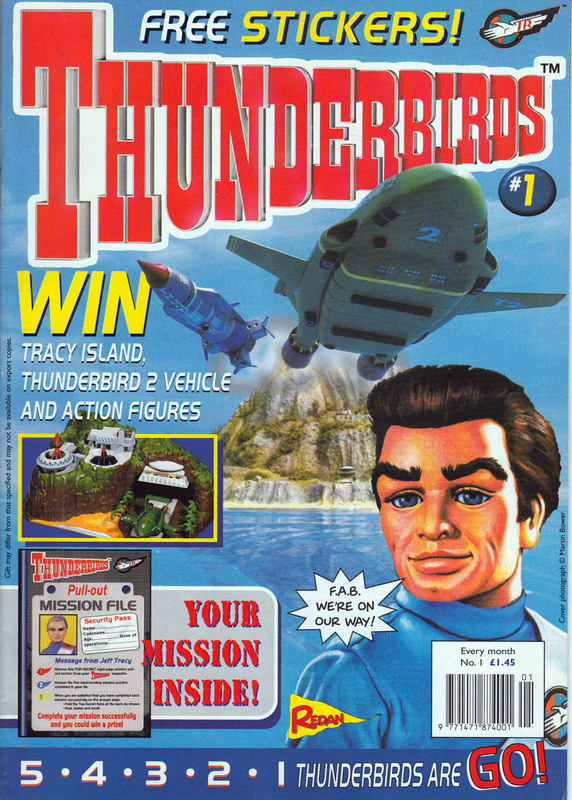 One of which was Thunderbirds, launched in 1999. Previous Thunderbirds comics had been aimed at the 7 to 11 age group, but Redan's version was younger, concentrating on activity pages and basic photo-strips. 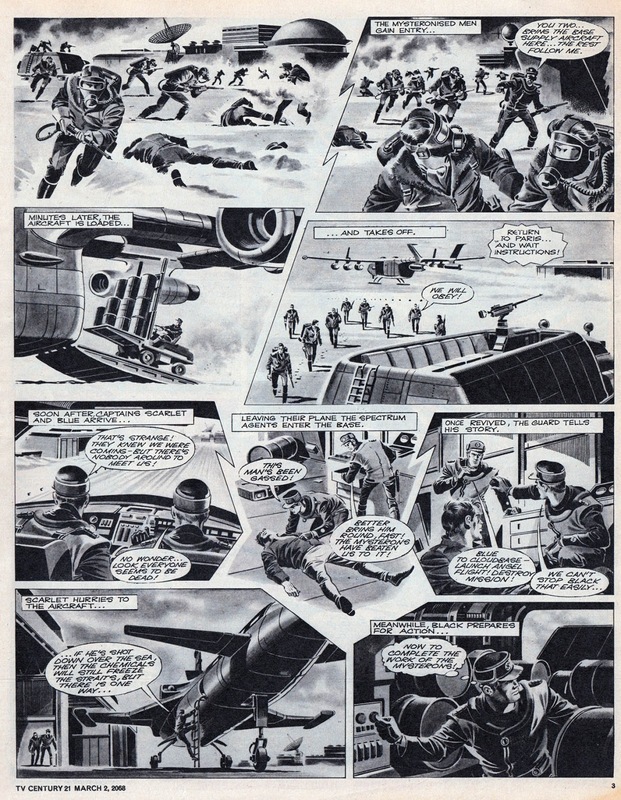 It proved to be very successful, and was no doubt an entry point for many comics readers. I didn't know Robert well. 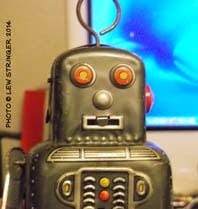 I only met him once or twice, many years ago. Although perhaps not known to the average comics fan, Robert Sutherland was nevertheless an important and respected figure in the British publishing industry. Redan's successes in the market for early readers' titles has been impressively significant, and even today their Peppa Pig comic has sales twice that or more of most comics. 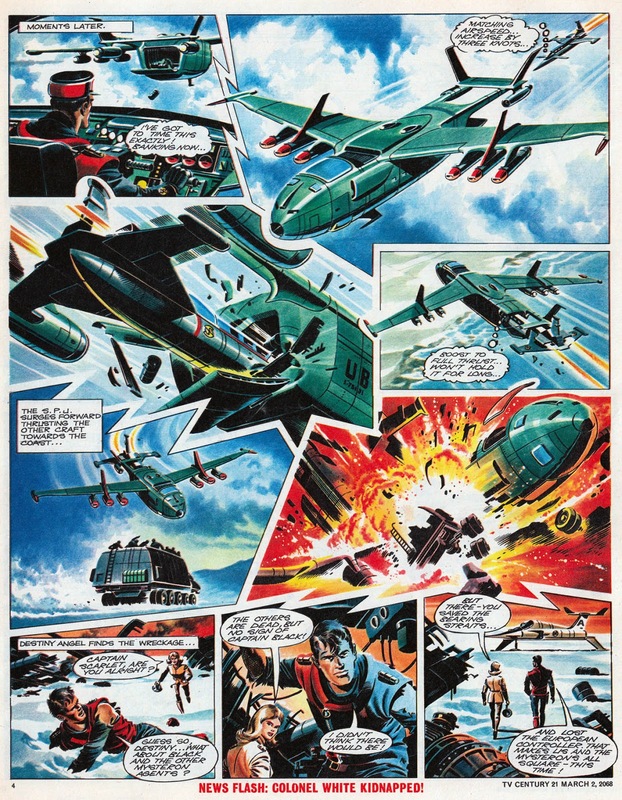 The passing of Robert Sutherland has been met with sadness by those who knew and worked with him, and those of us who freelanced on titles he published over the last 30 plus years. 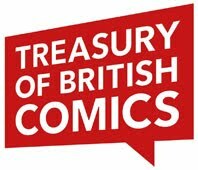 Without his vision, the UK comics industry would have been a poorer place indeed. My sincere condolences to Robert's family and friends on their loss. New STRONTIUM DOG collection coming in March! 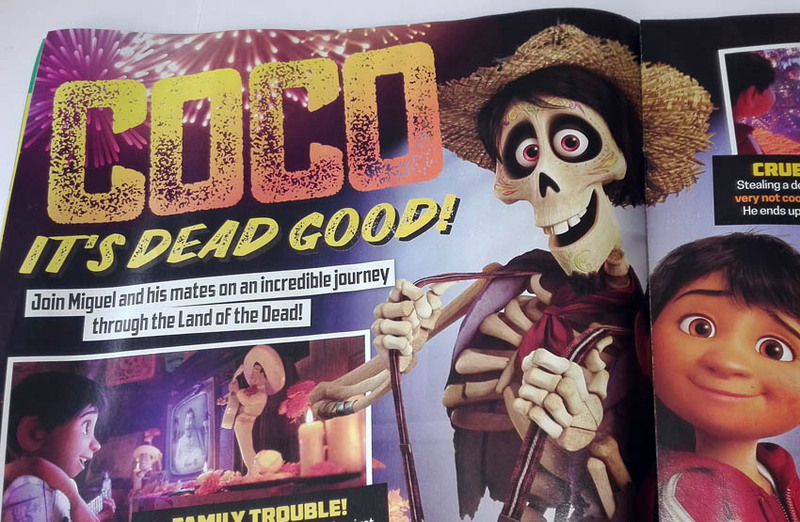 The Search/Destroy agent Johnny Alpha is still alive. 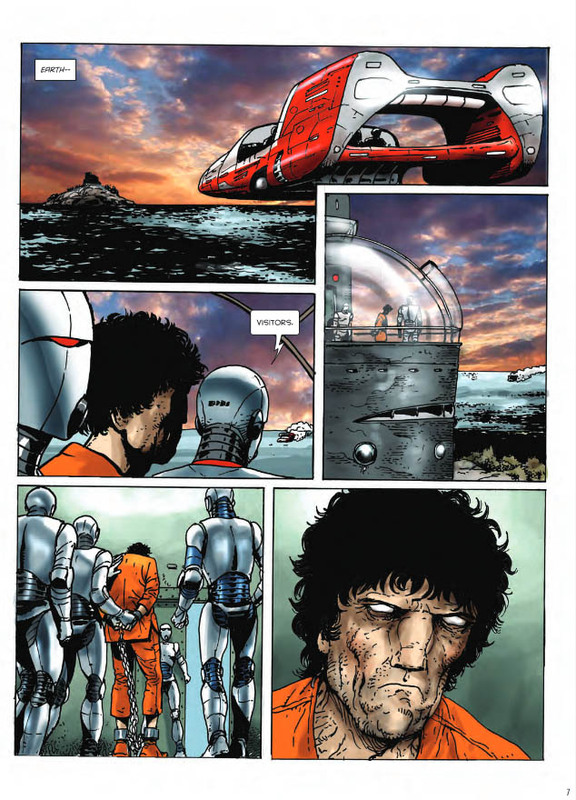 Having wreaked vengeance against the humans that plotted the ‘final solution’ to mutant-kind, he is released from prison for one last job in deep space that only a Strontium Dog can do. And with the freedom of his friends on the line he has no choice but to accept… Now that their careers as bounty hunters are off the cards, his mutant friends have a new job proposition. They are hired to repossess ‘The Rock’ - an asteroid space-station owned by a galactic crime lord - and to succeed they must pull off a heist of galactic proportions! 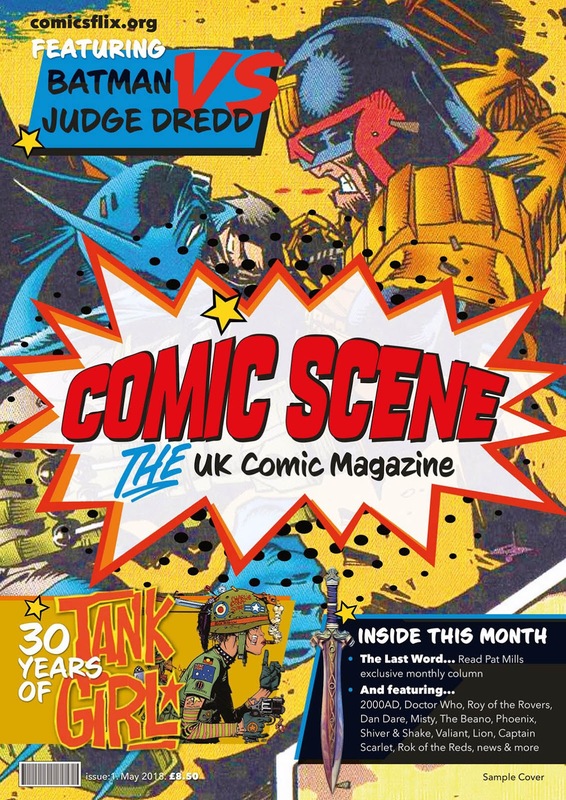 On sale soon will be a new magazine devoted to British comics past and present. Comic Scene is its name, and it's edited and published by Tony Foster. 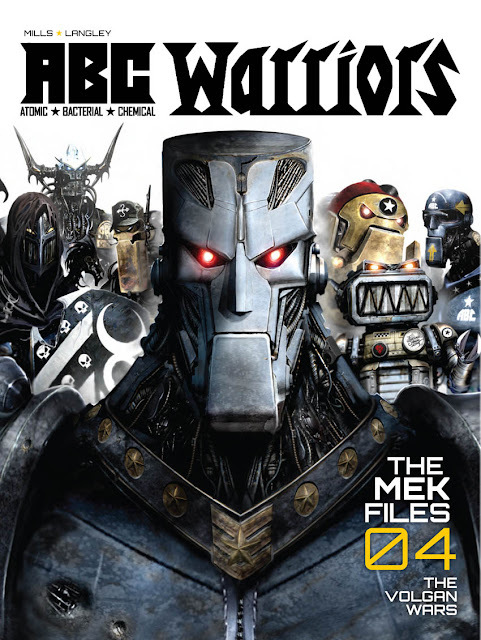 The mag promises to cover a wide range of subjects on UK comics and will feature regular columns by contributors such as Pat Mills and more. Blimey! 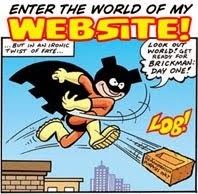 is a blog dedicated to British comics, but sometimes a little U.S. comics news is irresistible. 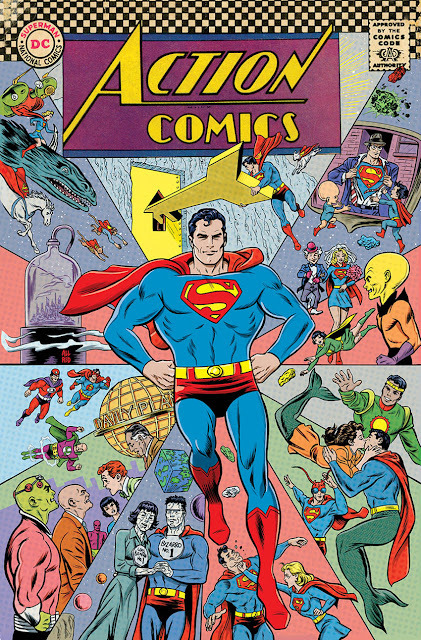 This April will see DC's Action Comics reach issue No.1000. British readers might think "so what? 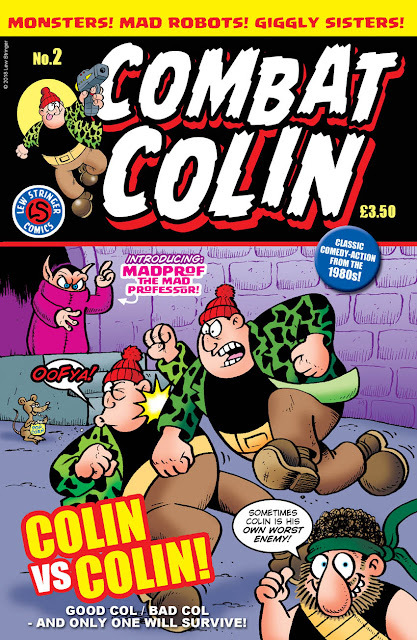 ", as The Beano is approaching 4,000 issues, but Action Comics is monthly (or rather fortnightly at present) so it's taken a while to reach four digits. Combat Colin No.2 is out now! Only available exclusively from me, Combat Colin No.2 has arrived from the printers and is now available to buy! 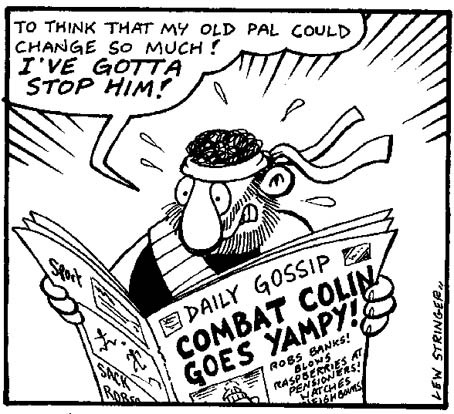 As with the first issue, No.2 has 40 pages packed with classic Combat Colin strips from the late 1980s. 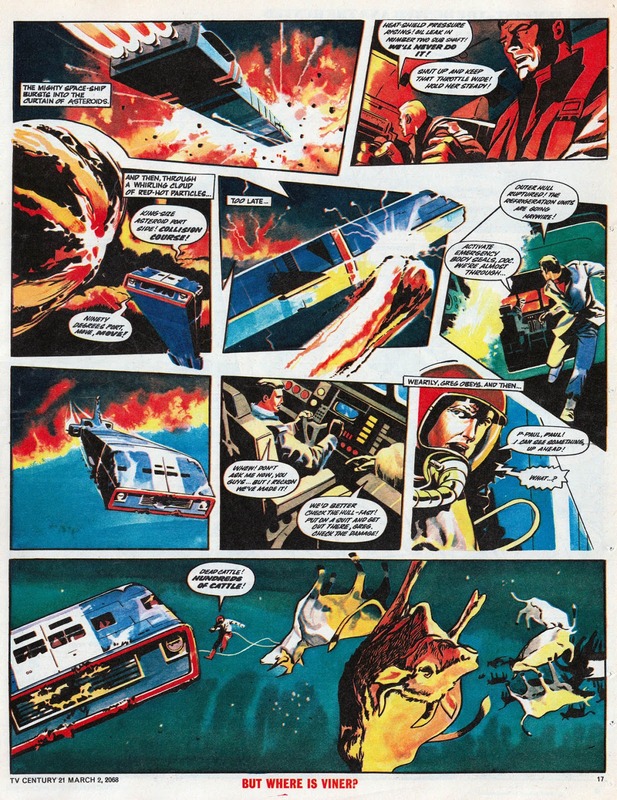 This issue starts with the ones when The Transformers and Action Force merged into one comic, and features almost 70 half page strips running from February 1988 to July 1989. 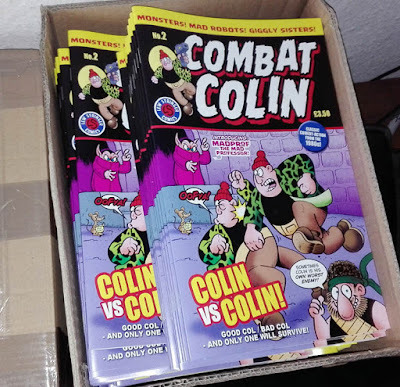 You'll see Combat Colin and his sidekick Semi-Automatic Steve encounter villains such as Madprof and Mr.Magno for the first time, plus the return of the evil Aunt Arctic of the Antarctic, the secret of the Loch Ness Monster and Bigfoot, the introduction of the Giggly Sisters and much more! 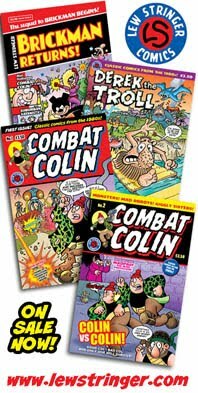 Combat Colin was a strip I created for the Marvel UK comics in 1987 and when it ended in 1991, Marvel returned the rights to me. 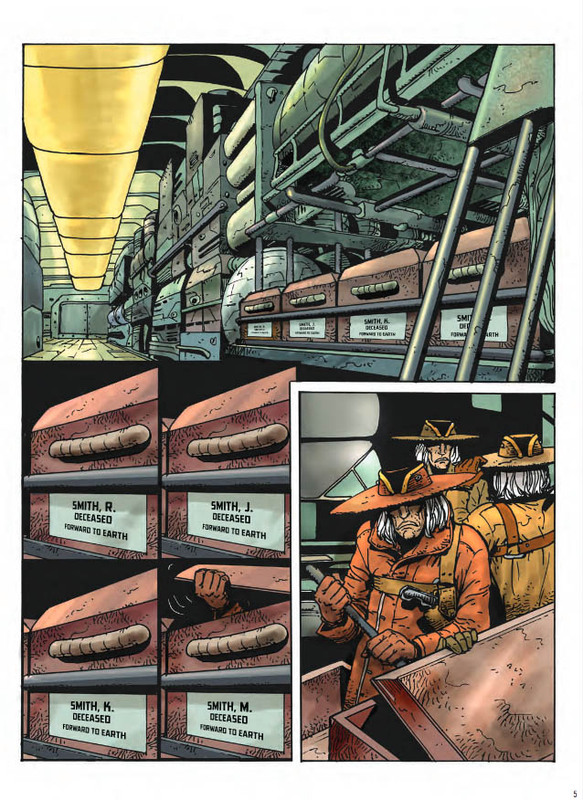 Most of the strips in issue 2 have been scanned directly from my original artwork, and I've added dates to the foot of every strip so you know where and when it first appeared. ROK OF THE REDS collected!